Fall is a wonderful time to feather your nest. 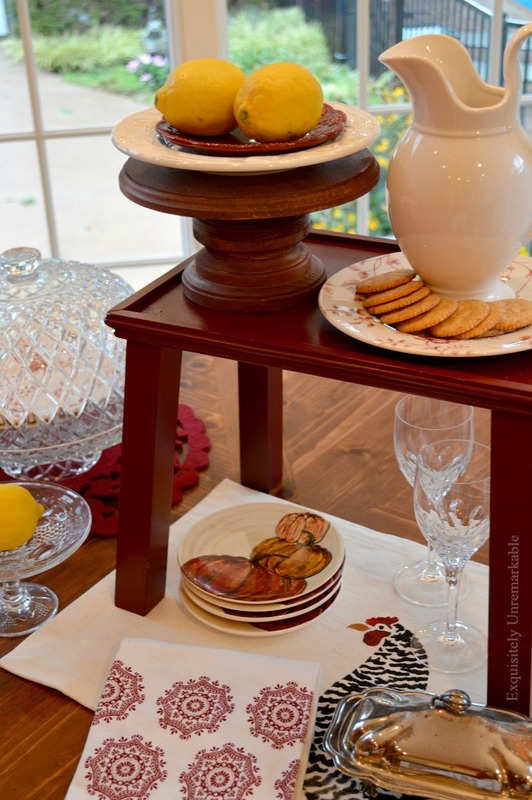 As a chill settles into the air and we migrate indoors, why not whip up an elegant custom craft or swap out a few accessories to reflect the mood of the season? Need some inspiration? No problem. 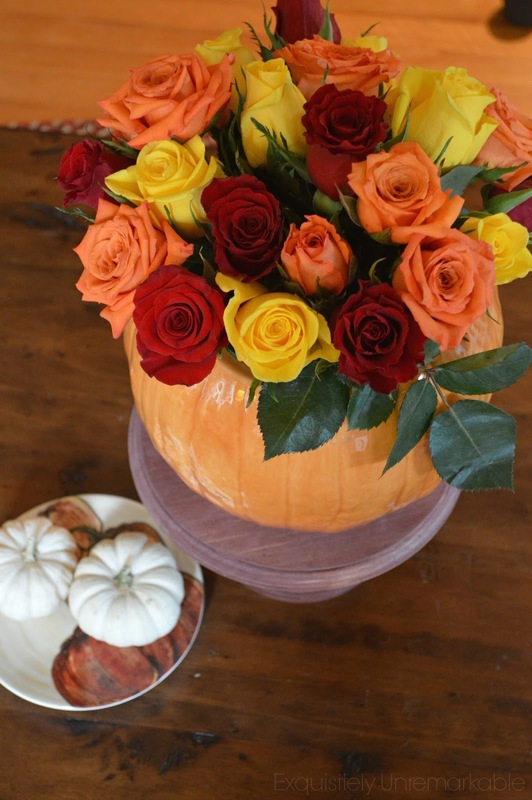 Cozy up by the fire, as you check out these 20 easy craft and decor ideas for fall. 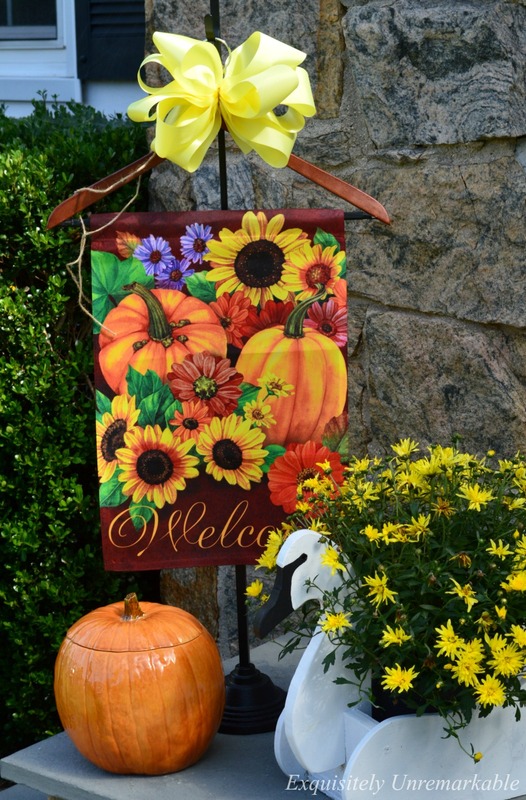 That festive fall feeling begins before you even enter the house with this quick garden flag craft. 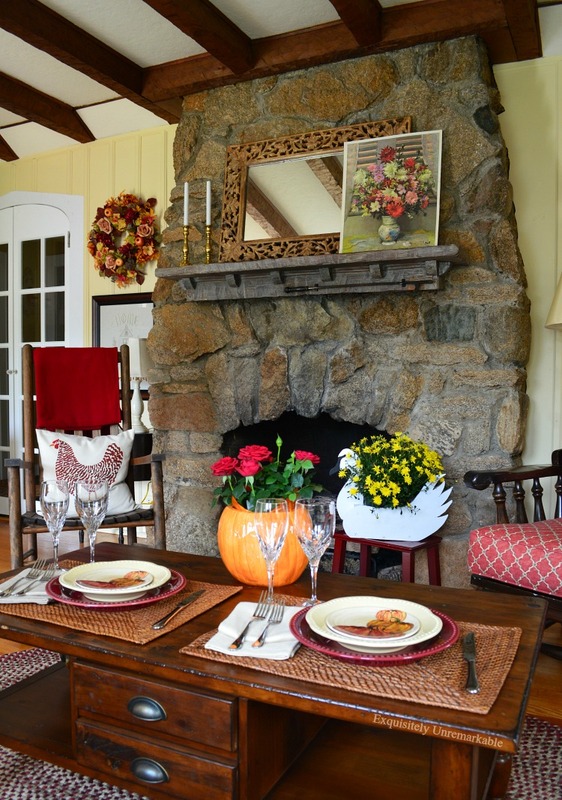 Once inside, you can tour the living room and pick up a few tips to bring fall into your own space. 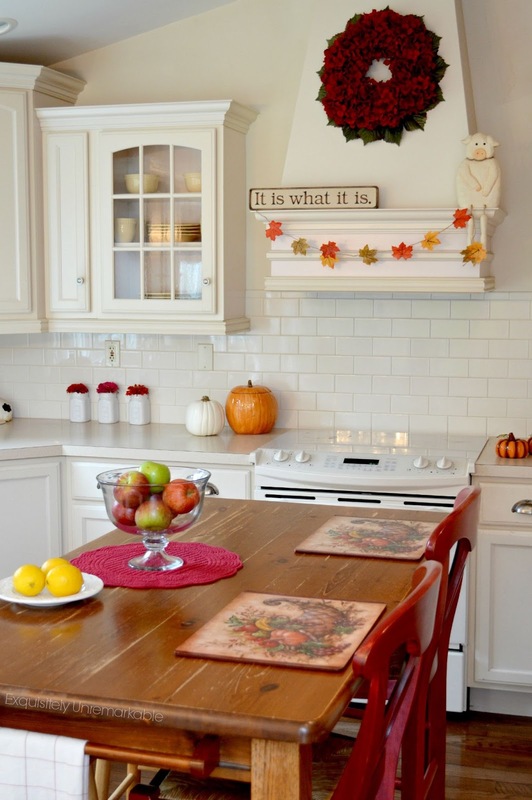 I decorated my kitchen for fall in a jiffy and it cost me less than ten bucks. 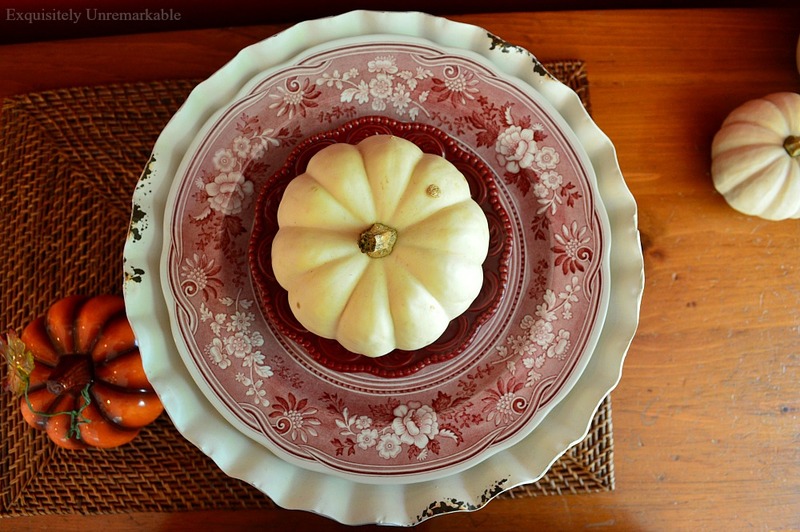 My fall kitchen decor for last year was equally as simple, but different. I like to switch it up from year to year. As much as I adore my kitchen, sometimes it's fun to eat elsewhere. This year, I set a rustic and romantic fall table for two in front of the fire. Who says you always need to eat in the dining room? Of course, for larger gatherings the kitchen or dining room is a more practical option. I made this sweet table riser from a thrift store find. 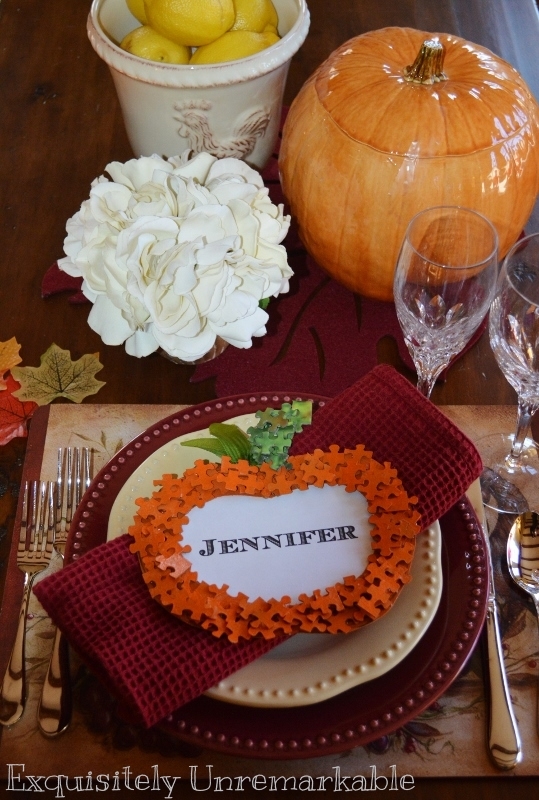 My Thanksgiving is always dressed to impress, each guest receives a puzzle piece place card as a party favor. The idea for them was born in my kindergarten classroom. We used to make sweet puzzle piece pumpkin frames, I just adapted the craft to decorate my home in a variety of ways. ...and this pumpkin made from old ceiling fan blades. 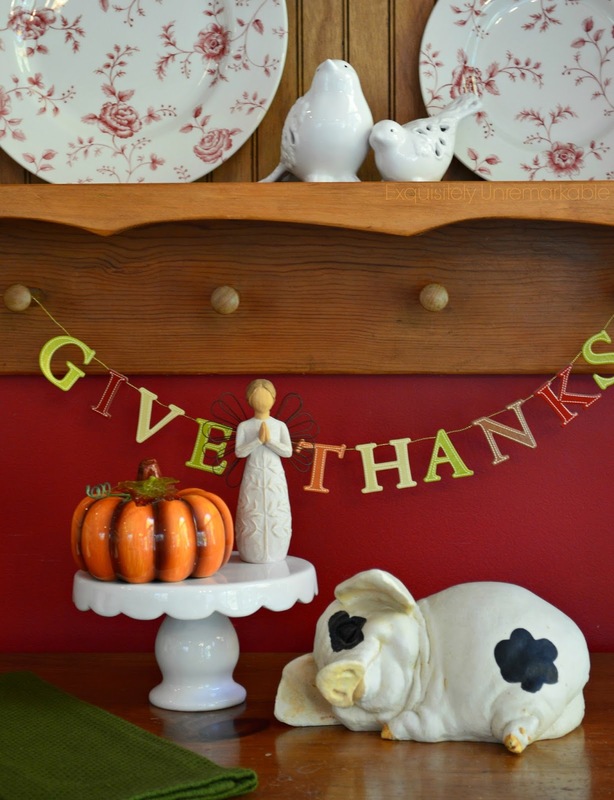 I even displayed a pumpkin on my DIY wooden cake stand...such an easy project, just paint, glue and display. 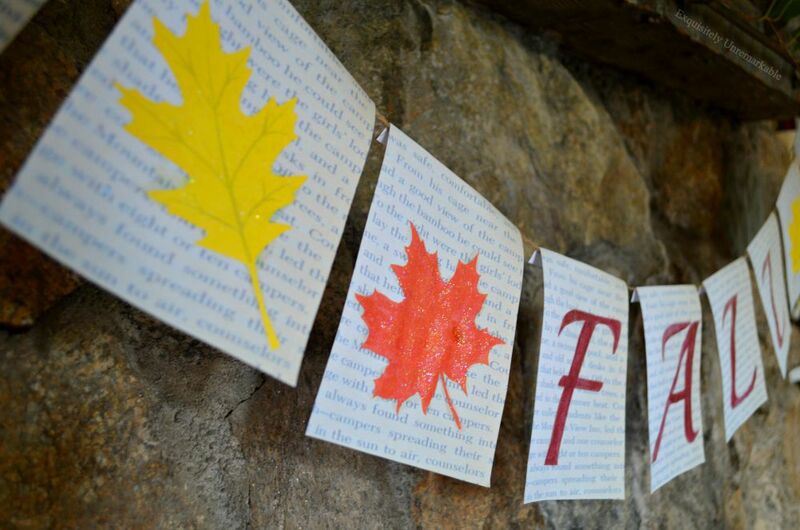 I made this simple fall book page leaf banner using a free website. 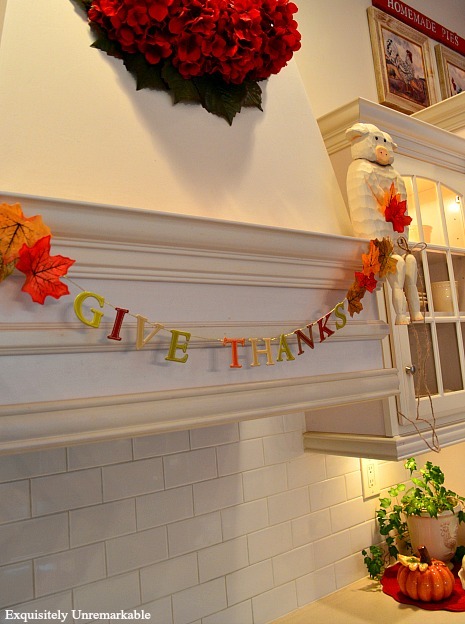 Since I am kind of a banner junkie, I made another small garland for Thanksgiving with dollar bin letters. I updated it this year, by adding a few dollar store leaves. Speaking of Thanksgiving, I taught myself how to embroider with yard and felt. You can do it, too. 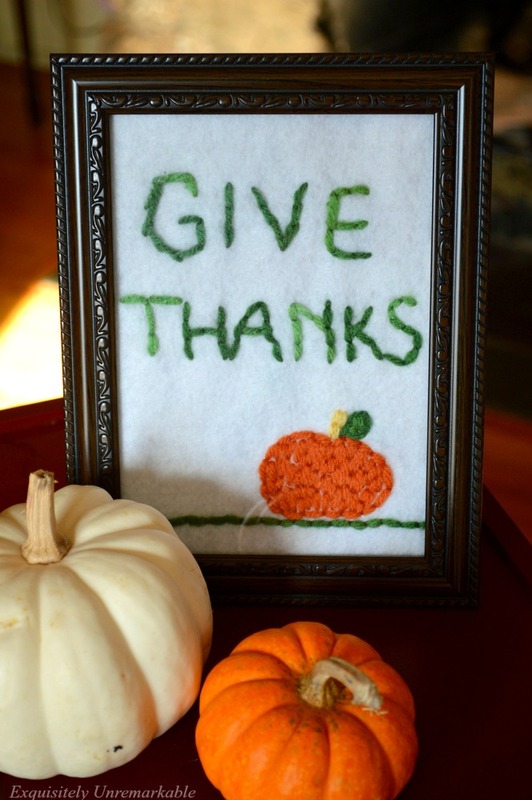 Framed art is a wonderful way to add seasonal flare and it doesn't have to cost anything to make. 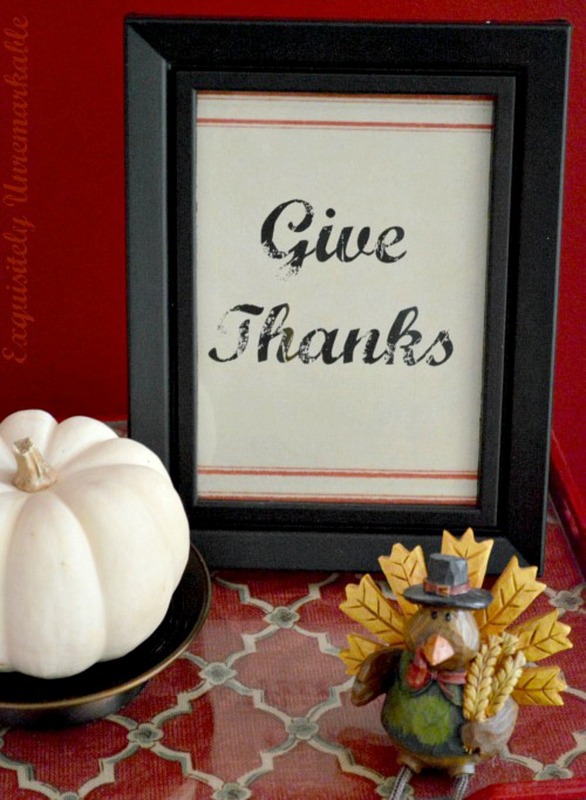 Check out my free give thanks printable. Candles cozy up a cold fall evening. 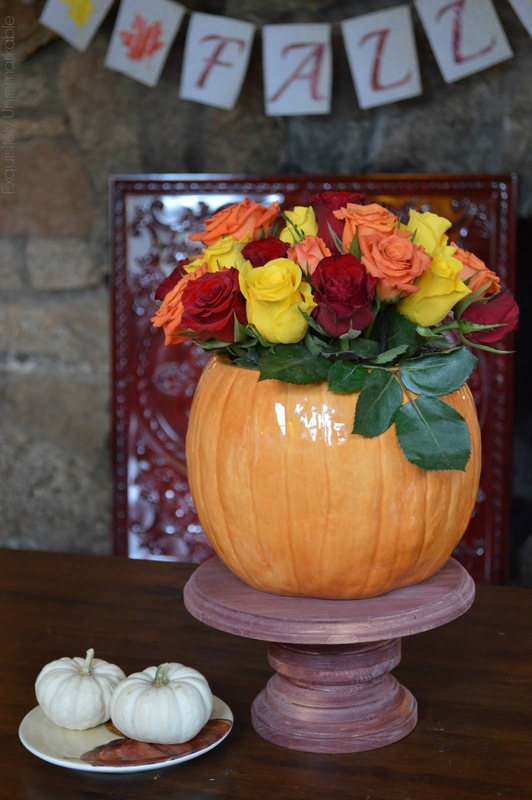 Here are some of the ways I use candles in my fall decor. Pillows create a cozy feel, as well. 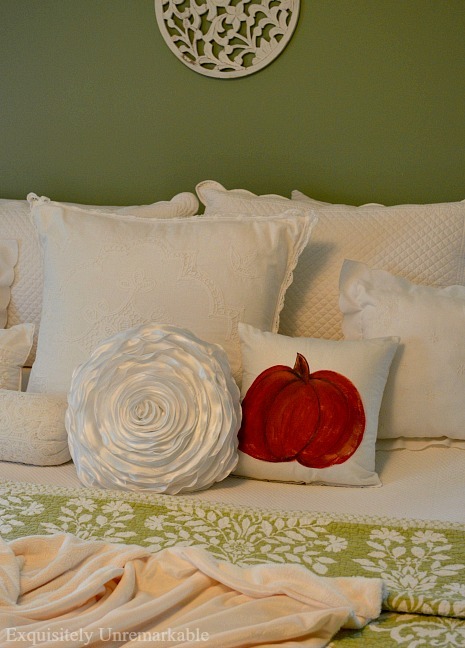 I stenciled these rustic pillows in no time flat. 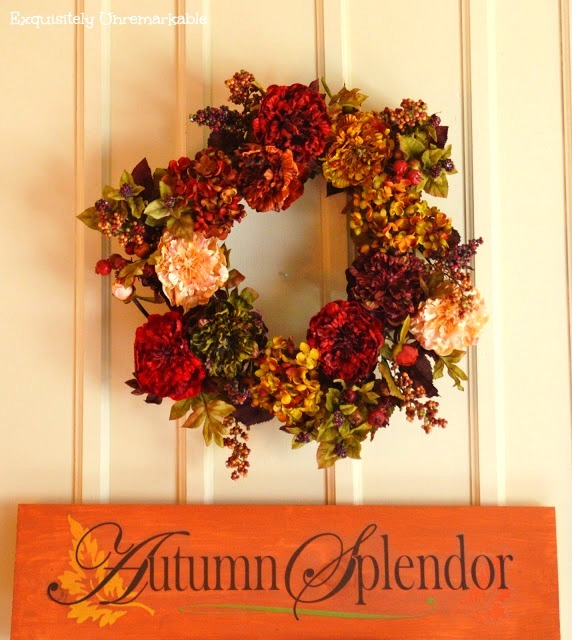 Lastly, my one of my favorite ways to add seasonal flair to any room is with a simple wooden sign. This was one of the first times I cheated my way to perfect letters with a sticker. 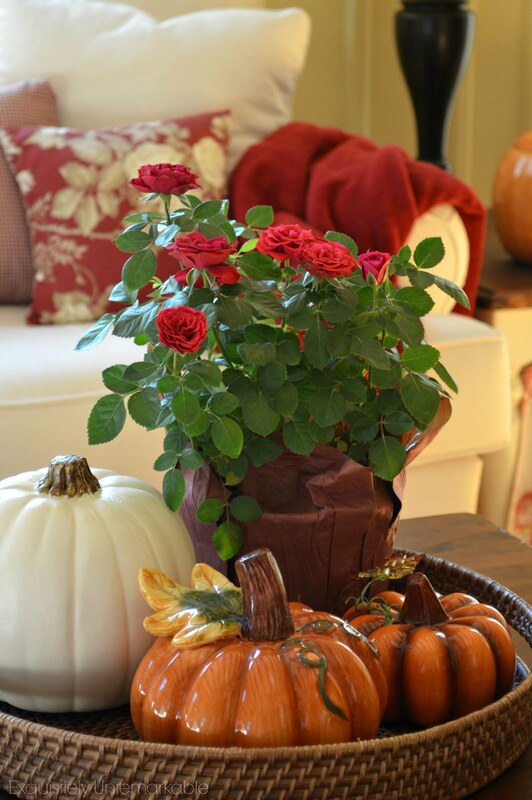 Twenty different ways to add a little bit of fall to your home. Super easy and super cheap. Because after all, is there really any reason for it to be any other way? Looking for even more fall? a beautiful post! fun to re~visit some wonderful ideas. i especially like the berries wound around the candle in the glass compote. Thanks Karen, the colors of fall are truly my favorite! Well how clever with the puzzle pieces! I just pinned one of your photos up there to my Pinterest about an hour ago. Love all the color...fall is such a beautiful time of year! I'm trying to get a few things out of some boxes to add some color. Have a great weekend...love and hugs to you! Thank you, Benita! Enjoy your fall color, too!! Thanks for all these great ideas, Kim! You are the bestest, craftiest lady I know and I'm Pinning away! 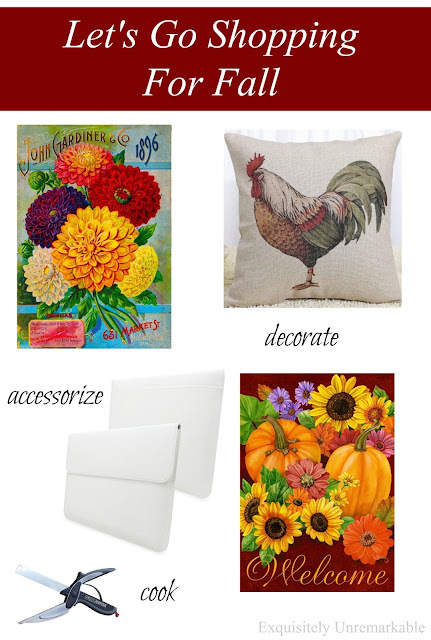 Thanks for a great, organized post to get ideas from, Kim! I enjoyed seeing all these inspirational projects. Thanks Vanessa!! I'm glad you popped by! 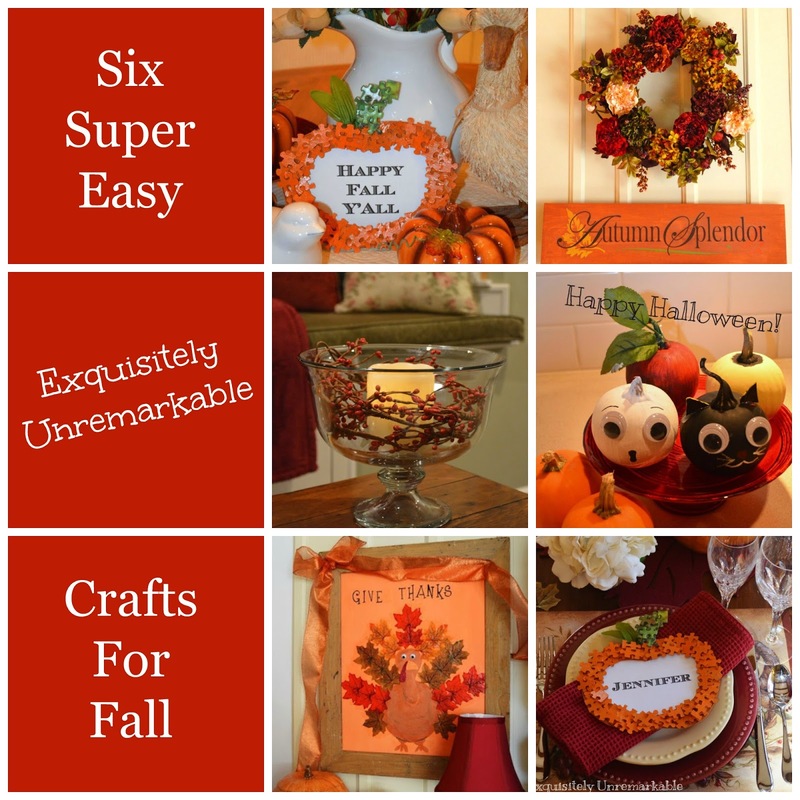 I totally enjoyed looking at all of your great fall crafts and inspiration! We are onto our next holiday very soon. Have a nice weekend and week ahead. You have g iven us lots of great ideas here Kim. And they are all easy to do. Which is really what we want. 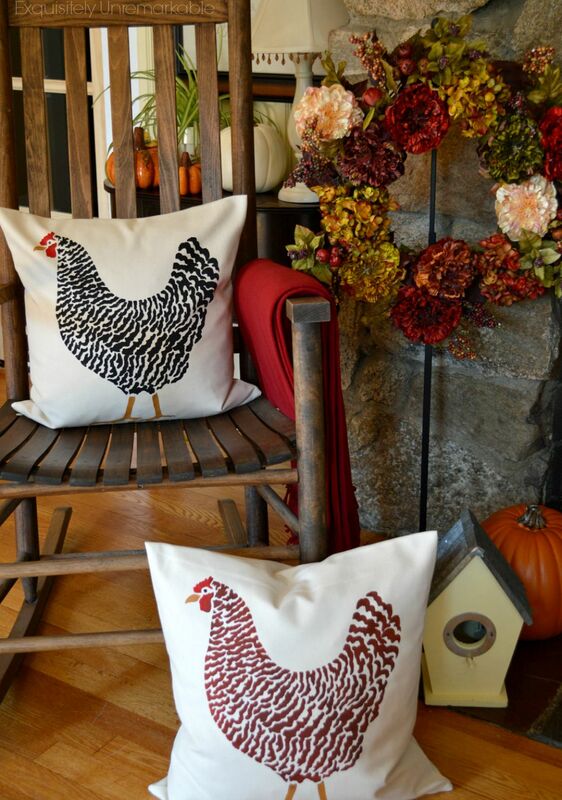 Love those chicken pillows, or are they roosters? Lovely touches to your home! I remember a lot of these cute décor pieces from your posts. The puzzle piece place cards are too cute...I have a gazillion pieces of puzzles around my house! This is such a fun-post, Kim! I think all of your sweet Fall touches add up to major Autumnal impact. 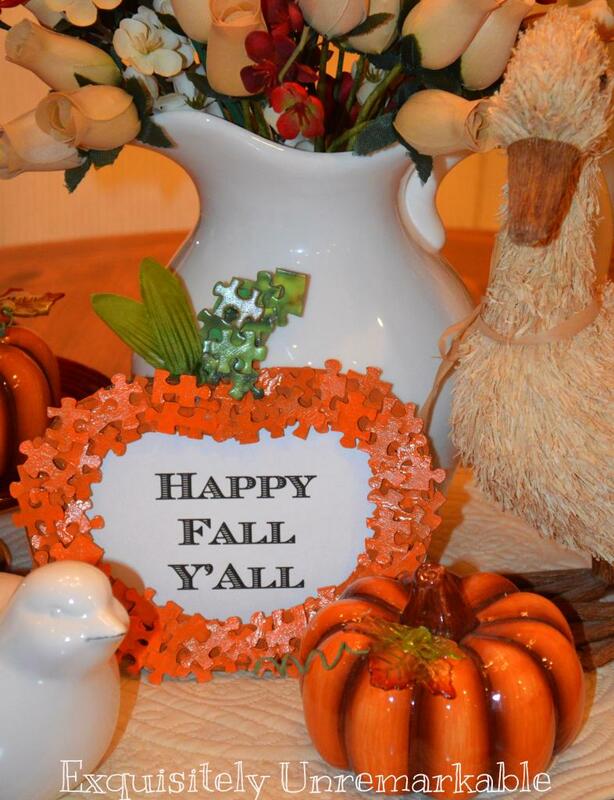 I am getting excited to decorate for Christmas, but I'm also hesitant to put away the Fall decor. I seriously think I could live with "Fall" all year long! Hope you have a lovely week, Kim! Carol, I definitely could live with "Fall" all year long! I still can't get over how cute that puzzle piece pumpkin frame is! Oh, and I love your fireplace too. So cozy! Thanks so much, Lisa. I love that little puzzle pumpkin. It’s on my desk right now, still one of my favorites! : ) Doesn’t really take much to make me smile, huh? Ha! Such nice simple projects. You, as always, are brilliant! Thank you, Nancy. As always, you are so kind. I will be pinning some of these Kim. I remember the pumpkin from last year. I did one too but used a real one and I loved it. A faux one is so much more practical! What a great post of fall home decor projects! It is such an amazing collection! Thanks Janine! I had a lot of fun with it. So many lovely craft and decor projects!! Thank you for the inspiration Kim!! Thanks for the visit, I am glad you found something that inspired you! Lots of creative and clever ideas here - thanks for sharing! 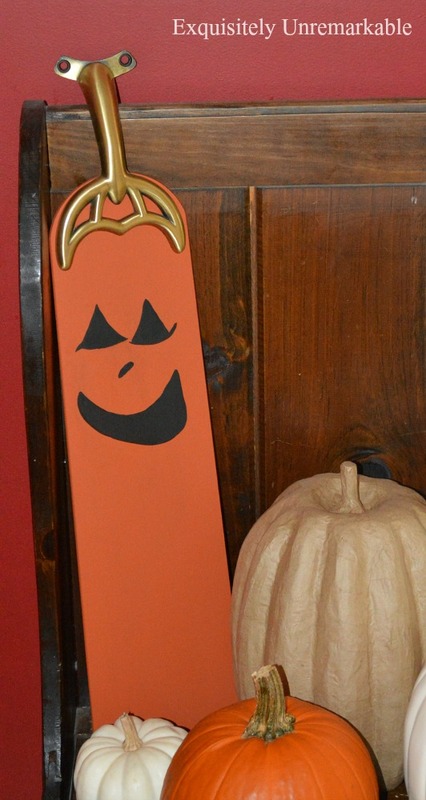 I especially liked the pumpkin made from a fan blade!! Thanks so much! I have recently fallen in love with those fan blade upcycles. So many great ways to use them. Thanks for the visit!